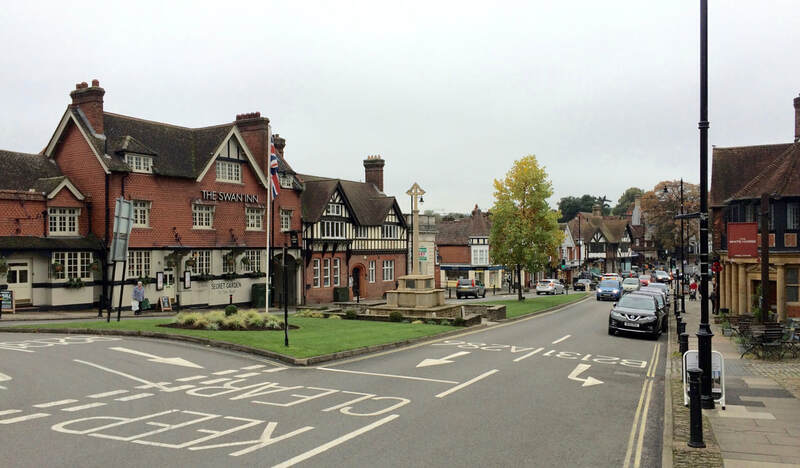 Whether you're visiting the town or just passing through, drop in to see us when you get off your train in Haslemere. Our friendly and knowledgeable team of volunteers will gladly answer all your questions about what to do, where to go and how to get there. And they have plenty of free literature, including leaflets and maps, to help you plan your time in the area. Find us in the station forecourt, next to the main entrance. If we are closed, our outdoor display provides 24/7 information about the town and the South Downs National Park. First RAIL TO RAMBLE guide now in stock – See our Newsline page for more news about the Hub, station, town and local events. Easy to get here, lots to do! Haslemere is the highest station on the Portsmouth Line, and the southernmost town in Surrey. The town dates from the 13th century, but most of what you can see today was built after the arrival of the railway in 1859. We're enormously proud of our history, which includes a Royal Charter, signed by Queen Elizabeth I, and links with literary giants such as Alfred Lord Tennyson, Sir Arthur Conan Doyle, George Bernard Shaw and George Eliot. Haslemere Information Hub is staffed by volunteers and is open as much as possible on weekdays and at weekends from May to October. It offers tourism advice, helping you to make the most of your time in the area. It also showcases local social and sporting events and businesses. Situated in an annexe to the Victorian station building, the Hub is prominent on the station forecourt – affording easy access for pedestrians, cyclists and motorists. The station is also served by buses to Guildford, Midhurst, Farnham and Aldershot. In addition to ensuring you a warm welcome, our volunteers keep the station looking good by maintaining the flower beds on the platforms. 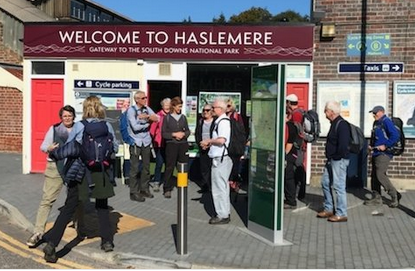 Haslemere Information Hub is the public face of the Haslemere Community Rail Partnership – a joint venture committed to promoting the town as a destination – and as a gateway to the South Downs National Park and the Surrey Hills. 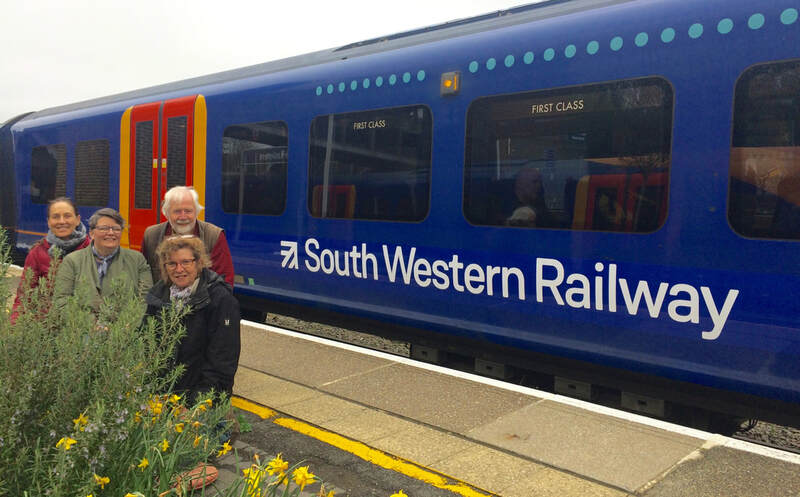 The partnership involves local and regional organisations working with South Western Railway, with guidance from the Association of Community Rail Partnerships (ACoRP). The Hub complements the activities of Visit Haslemere, at Haslemere Educational Museum. The Partnership operates under a Constitution and a Business plan.